Are you thinking about residing your home? We know that homeowners want an exterior siding that is durable, low-maintenance, and attractive, but most siding materials don’t check all three of those important boxes. However, there’s one siding manufacturer whose products have it all: James Hardie, the most popular siding in North America, and is on more than 8 million homes! The siding will last for years, look amazing, and require minimal work to maintain its quality. 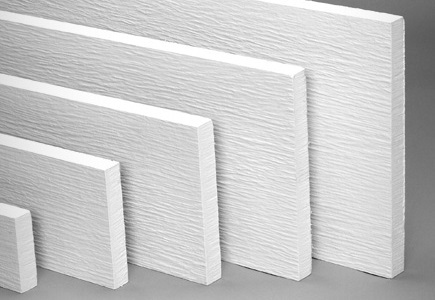 You’ve probably heard it mentioned before: Some people refer to it as “Hardie siding,” or “Hardie lap siding.” Other people might mention it by describing some of the different options available: “HardiePlank,” “HardieShingle,” or “HardiePanel.” It’s likely that if anyone in your neighborhood has recently resided their home, they’ve gone with James Hardie products, so the next time you’re out and about, look around for some inspiration! We’re going to break down for you all the great reasons why James Hardie siding is the right choice for your siding project by answering common questions. 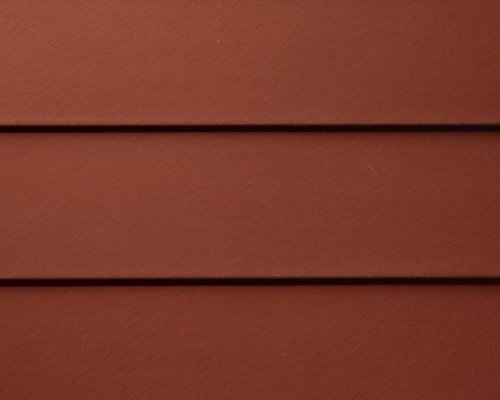 To start with the basics, Hardie siding is fiber cement, a product developed by James Hardie over 30 years ago. 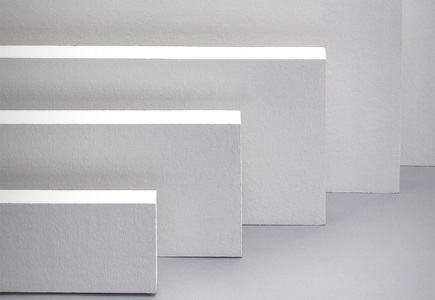 Fiber cement is made of three components: cement, sand, and cellulose fiber from plant materials. The materials are dyed and formed into boards that, as we’ll get to later, can have a variety of finished appearances. Fiber cement siding is environmentally friendly, noncombustible, and a great insulation material. If your home has a fireplace, having James Hardie siding could save your family’s life in the event that you have a house fire–a circumstance no one wants to imagine, of course, but needs to be prepared for. 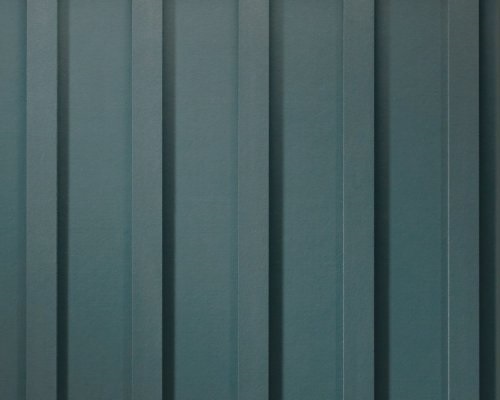 Now in its 130th year of business, James Hardie spends $20 million annually on research and development to continually craft its superior fiber cement superior siding, and it’s been awarded many times over. In May of 2013, the company received the Good Housekeeping Seal from the Good Housekeeping Research Institute for its HardiePlank lap siding. 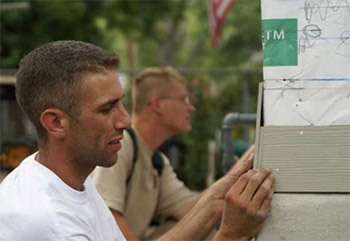 The accolade was granted following the stringent testing of the institute’s scientists, researchers, and engineers, and that testing, of course, confirmed the rigorous testing that James Hardie conducts on all its products to make sure that its customers are getting only the best possible siding. In 2015, the users of Angie’s List agreed: The company was voted the number one siding and trim manufacturer. What are the benefits to James Hardie siding? How much time do you have? There are so many Hardie siding benefits! Hardie siding is engineered for the specific climates that homeowners live in, so you’ll get the right siding for your home. It can stand up to whatever Mother Nature delivers, wherever she delivers it. High altitude is no match for the siding it’s also UV-resistant, so you can enjoy the sunshine without wondering how it’s affecting your siding; the color won’t fade. Hardie siding won’t buckle, warp, rot or crack. It resists mold and mildew growth–even in the St. Louis humidity! It comes with a 30 to 50-year warranty! If it’s properly installed and you take care of it (which requires minimal upkeep on your part) you’ll have a warrantied replacement, if need be. We want to single out this fact, because no matter where in the country you live, you experience storms–rain, wind, hail. Hardie siding is more resistant to heavy impacts than other siding materials. And, hail damage is covered by the warranty. It doesn’t ignite, won’t serve as an accelerant, and won’t melt or give off toxic fumes. It reduces the risk of air leaks, and so keeps your utility bills low all year. Termites, other insects, woodpeckers, and other unwanted animals won’t be able to breach the siding. The fiber is taken from unused scrap wood and recycled materials. James Hardie was named the “Greenest Siding Brand” for the sixth year in a row in 2017 by the Green Builder Media annual Readers’ Choice survey. Because of all these great qualities, your home’s siding is less likely to need replacement, and so won’t take up space in landfills. You already know it won’t crack, warp, rot, or buckle. It’s also incredibly easy to keep clean! A powerwash is all you’ll need to do, and since the color won’t fade, you won’t need to worry about applying fresh coats of paint every couple of years. Because it’s easy to keep clean, unlike other siding materials, costs are going to be kept down, so that’s money in your pocket. How does Hardie siding compare to other siding materials? 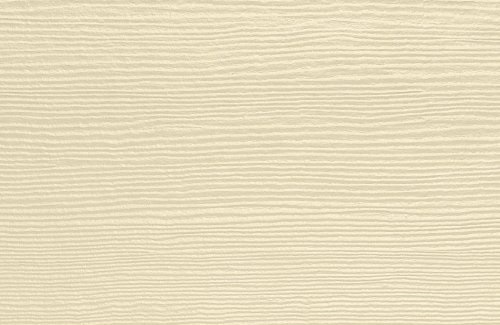 Let’s discuss a Hardie siding comparison. Three common types of siding materials are wood, vinyl, and Oriented Strand Board (OSB). Hardie blows all three out of the water (or off the construction site). You might be able to guess why if you look again at the benefits listed above. Wood looks beautiful, is eco-friendly, and there are inexpensive options, but it requires a lot of maintenance, including regular repainting and re-sealing. It is, of course, combustible, can rot and warp, and is vulnerable to pests and moisture. 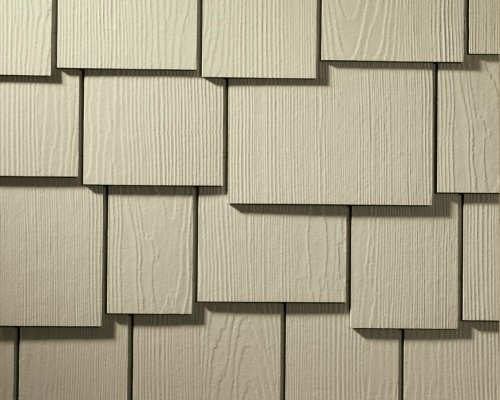 Vinyl can mimic the look of wood and is a cost-effective, low-maintenance siding option. That said, it is also combustible, can warp, or crack, and is vulnerable to pests and moisture. 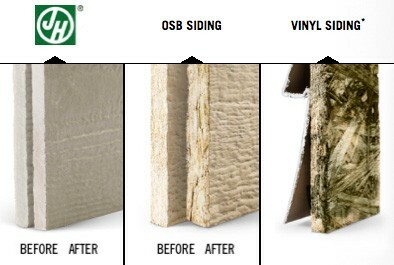 Vinyl siding can also be brittle, and will likely need to be replaced eventually, long before your Hardie siding will. 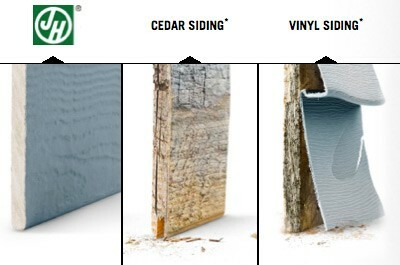 Hardie siding is also five times thicker than vinyl. 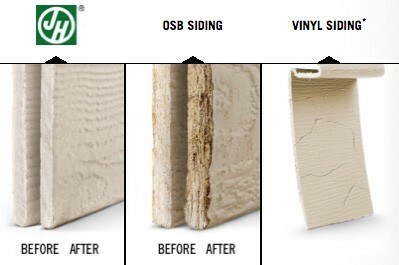 OSB, also known as wood composite, is wood that is bonded together with a resin under heat and pressure. It’s susceptible to water damage, and its bottom edges can split due to cycles of freezing temperatures and exposure to wet weather. 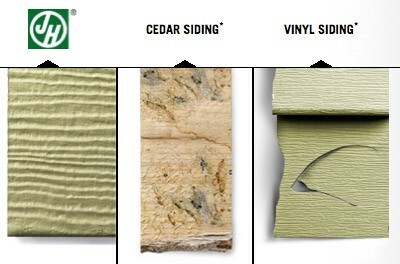 As we’ve mentioned, there are a variety of Hardie siding products and styles. Let’s take a look at them now. 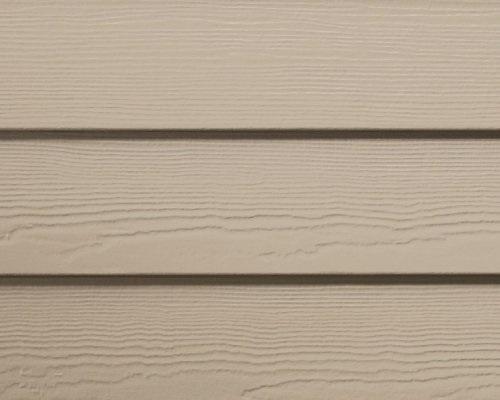 HardiePlank siding is incredibly popular, but since it’s available in four different styles and numerous colors, you’re sure to find the combination that makes your house unique. Select Cedarmill planks have the look of wood with the appearance of a grain, but none of the downsides we’ve discussed above. Smooth planks are an elegant and classic option without the wood grain. 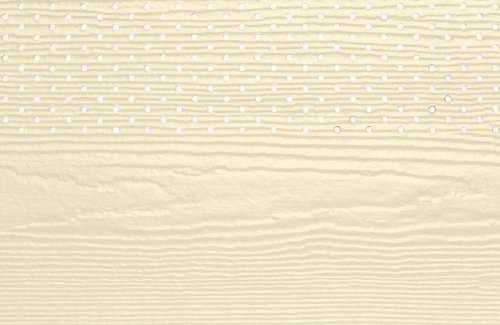 If you’d like a nice finished look, both Beaded Select Cedarmill, and Beaded Smooth options are available with a beaded edge along the bottom of each plank. 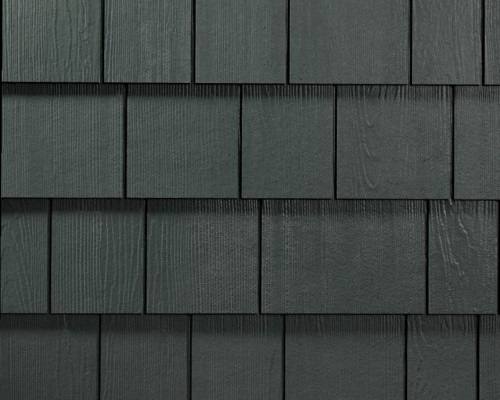 As the name suggests, HardieShingle mimics the look of cedar shingles, with all of the benefits of Hardie siding that we’ve listed above. It’s available in two styles: HardieShingle Straight Edge and HardieShingle Staggered Edge. Either will give your home the familiar, inviting look of wood shingles, without the problems that can befall wood. HardiePanel is vertical siding. Using HardiePanel on your home’s exterior will ensure that it stands out from the other homes on the block! 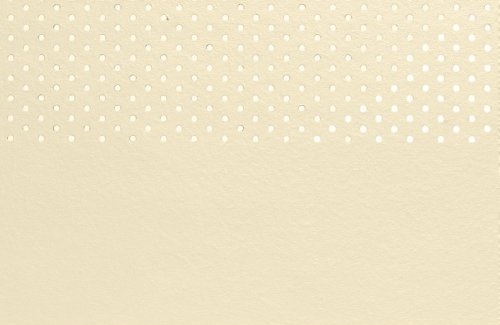 You can also mix-and-match it with HardiePlank or HardieShingle, the choice is yours! It’s available in a variety of textures; Cedarmill and Sierra 8 mimic wood grain; Smooth, like its HardiePlank cousin, lacks the wood texture. 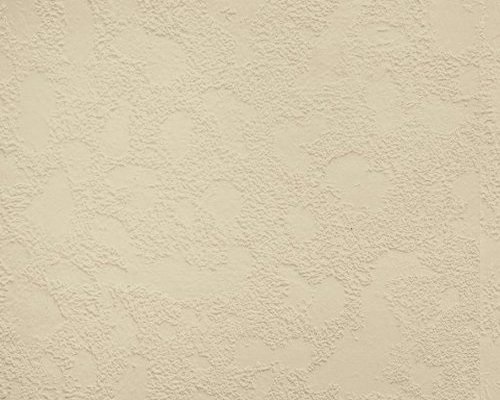 If you love the look of stucco, you’re in luck, as HardiePanel is also available in a Stucco finish. HardieTrim allows you to add the perfect, neat, unifying finishing touches of trim around corners, columns, and window frames. It’s available in both Smooth and Rustic finishes. (The latter mimics wood.) Don’t neglect this aspect of your home design. It’s a great opportunity to add contrasting color to your home’s exterior, or to accentuate certain features of your house. Hardie Soffit panels cover the underside of your roof eaves, and, if you have it, the ceiling of your front porch. 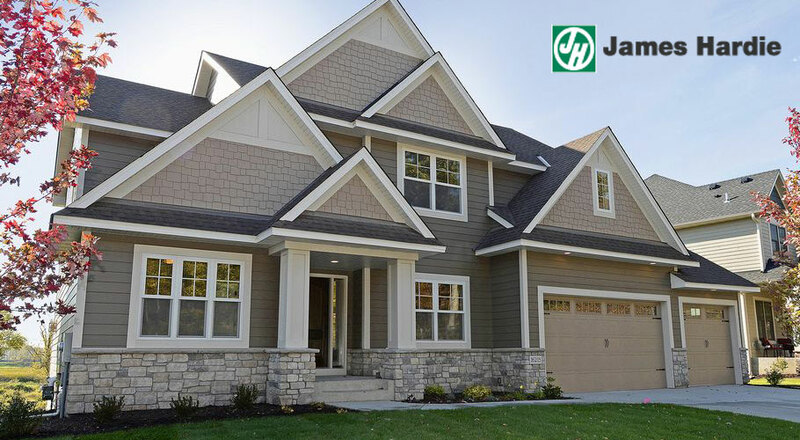 James Hardie offers its HardieSoffit in both vented and non-vented Cedarmill and Smooth options so that you can choose the right one for your personal style while also being mindful of any relevant building codes. 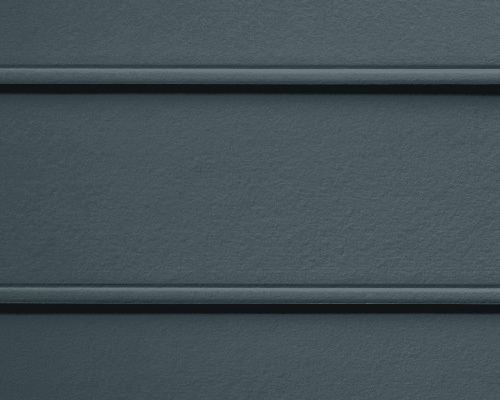 Artisan siding is a new offering from James Hardie, which the company describes as” luxurious.” Thicker than other Hardie sidings, it is offered in two types: Artisan Lap Siding, which you can purchase already treated with Hardie’s colors, or primed for painting. And Artisan V-Groove Siding, which comes primed for paint. You can finish off this elegant choice with Artisan Trim. Hardie siding stands out from among the competition not only because of the benefits we’ve mentioned above but because of its ColorPlus Technology. 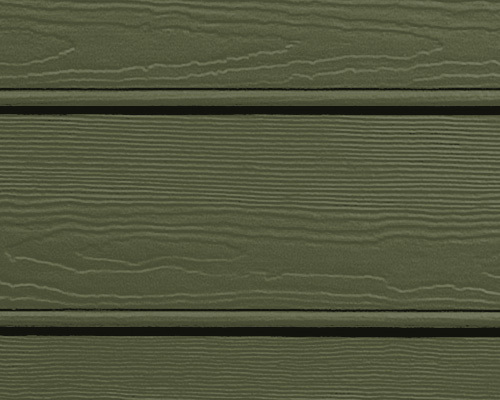 Multiple coats of James Hardie’s colors are applied onto the surface of each plank or piece of siding. This is 50% more than the average house painter applies. In between applications, the paint is baked on. After the process is finished, the paint resists chipping, peeling, cracking, and fading, and comes with a 15-year limited warranty that covers paint and labor. So, not only is it durable, it looks beautiful for a long time. 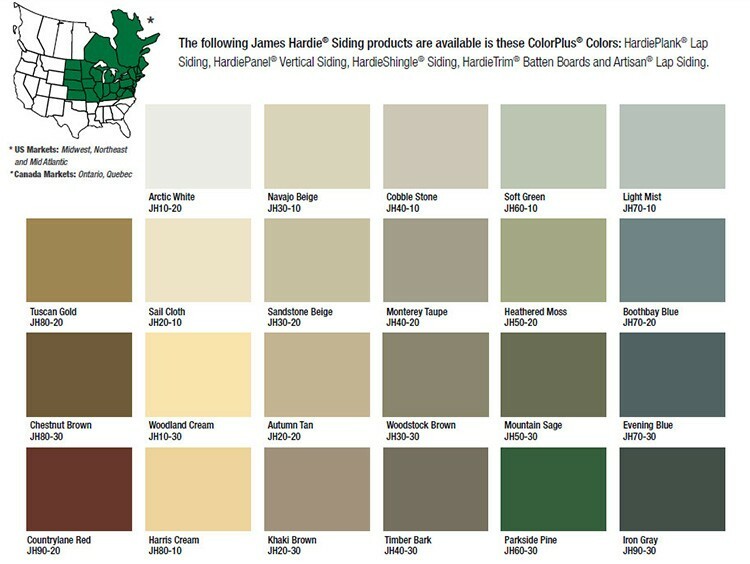 There are numerous Hardie siding colors for you to choose from. The Hardie color palette was designed by Leslie Harrington, an expert color designer, and no matter what color or colors you choose, your home will look stunning. Perhaps you’ll want to choose the deep, rich Countrylane Red, evocative of older farmhouses. Maybe the striking Deep Ocean is more to your taste and will ensure your house stands out from the rest on your block. Or, maybe, thinking of vacations on the beach, the neutral Sail Cloth appeals to you. Maybe you don’t want to go with a James Hardie color at all. That’s also an option! 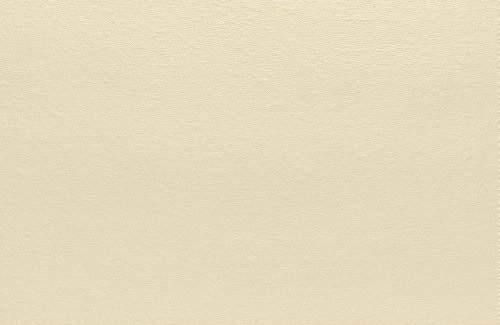 You can choose to get boards that are primed so you can get them painted another color of your choosing by a painting company. What is the process to install Hardie siding correctly? Let’s talk about Hardie siding installation, and what the typical installation process is. First, it is crucial to hire a qualified siding contractor who is experienced at installing Hardie siding. Choosing a single contractor over working with multiple subcontractors is the safest and best way to go: Homeowners can be confident that the work will be completed how and when it was promised. Subcontractors may not show up on time (or at all) and may use subpar materials and cut other corners. These are issues that you don’t need to worry about when working with a single experienced contractor that has been reviewed by others in your community. The typical installation of HardiePlank siding takes 10-12 days. The first course of planking is installed at the lowest point of the home. The contractor will ensure that it’s straight and level. “Blind nailing” is used, and so each subsequent course of planks covers the nails on the course below. First, the contractor will starter strip needs to be installed beneath the first course of siding to ensure that the planks are all installed correctly. After your contractor has secured the first course of planking, installation continues with full 12′ pieces until a door, window, or other feature interrupts the placement. Your contractor will notch these planks as needed. Whether you want your primed Hardie siding painted. Be sure to share these details with your contractor so that you’re both on the same page, and so they will be able to give you an estimate. How much does Hardie siding cost? James Hardie siding costs $10 to $12 per square foot. For a home with 1,500 exterior square feet, that’s a total cost of approximately $15,000 and up. The cost to remove and dispose of existing siding, if not included in the estimate, could cost an additional $2 to $3 per square foot. At this price, Hardie board is roughly 40 percent more expensive than vinyl and other siding materials. This is mostly due to the fact that fiber cement is heavy (around 5 times heavier than vinyl) and therefore more labor-intensive. With Hardie siding, you are also paying for high-quality, durable, low-maintenance, long-lasting siding that can withstand weather and temperature changes, that won’t warp, rot, crack, fade, or catch fire. And, it comes with a fantastic warranty, so you can have peace of mind that, assuming you’ve done your due diligence in maintaining it, if there is a problem, you’ll be covered. When thinking about your project budget, keep in mind that the size of your home and whether any prep work is necessary (and what kind) will affect your installation costs. After you get your estimate from your contractor, it’s good to build a buffer into your budget, so that you’ll be able to deal with any unforeseen additional costs that may accrue as the project progresses and previously unknown issues crop up. An investment that increases your home’s value. 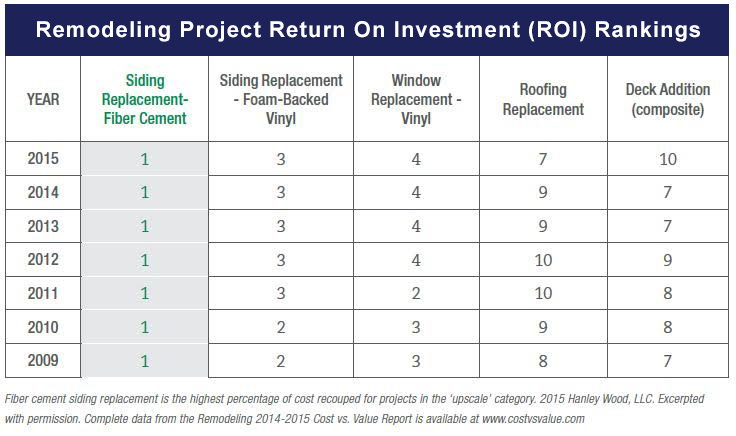 Which home remodeling project will give me the best return on investment? This is often the first question homeowners ask when thinking about remodeling their home because unless you plan to live in your same house forever, you want to know that the hard earned money you put into your home, will result in an increase in your home’s value. For the past decade, siding your home with fiber-cement siding has held one of the top spots for return on investment on remodeling projects. There are many other projects you can take on as a homeowner, but only re-siding your home with Hardie siding will give you the best return on your investment. 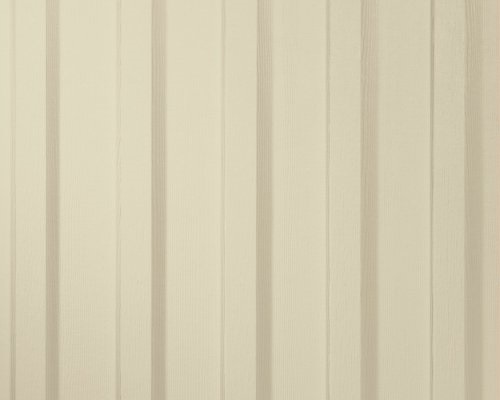 What to look for in a qualified Hardie siding contractor? We’ve mentioned the importance of choosing a qualified contractor to help you with your siding project. This is one home improvement project that you shouldn’t tackle yourself. 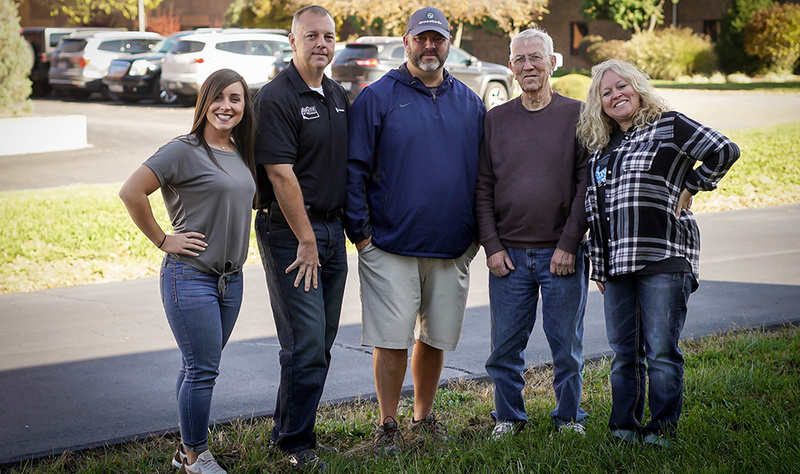 Lakeside Exteriors introduced James Hardie siding to the St. Louis area in 2000, and we are the top James Hardie Elite Preferred Remodeler in the St. Louis area, and the #3 ranked Elite Preferred remodeler in the nation! What does that mean? It’s not an easy designation to obtain. Questions to ask a siding contractor before you hire them. #1: What is the full name and address of your company? You want to make sure that the contractor has an actual place of business, and isn’t just working out of a truck. With no physical address, it will be impossible to track the contractor down if he doesn’t show up for work. #2: Does your company carry insurance and is the coverage adequate? You don’t want to find yourself in a jam if there’s an accident or other issue and your contractor isn’t insured. Contractors should provide you with proof of insurance for comprehensive general liability, workman’s compensation, and completed operations insurance that protects you in the event of an accident. You should call the insurance company to verify that the policies are still valid. #3: Is your company licensed? Are you a member of any trade associations? You’ll want to see a contractor’s license, but you should also find out whether he’s a member of any relevant trade association. Is he continuing his education to stay aware of industry changes? Best practices? 90% of contracting businesses fail within the first 5 years. How long has the contractor you’re speaking with been in business? You’ll also want to see client references, not only for current projects, but for older ones, which can demonstrate whether a contractor’s work has stood the test of time. #5: What is your track record for handling complaints? Ask the contractor to share with you complains that he’s received and how he resolved them. This will give you a sense of how he interacts with customers, and what his follow-through methods are, and will help you to have a sense of how he’ll work with you in the event a problem arises. #6: What is your company’s workmanship warranty? This is a warranty that is distinct from that of the products that you are having installed (e.g., James Hardie HardieShingle siding, with a James Hardie warranty). Ask to see the contractor’s training and certification credentials from the manufacturer. Check to see that they are still valid. Most contractors will offer this information without being asked for it; they know how important it is, and they want you to feel comfortable deciding to work with them. #7: What can you tell me about [My Project]? Ask specific questions about specific projects. For example, for a large project, is a permit required? What about payment procedures? What are daily cleanup procedures? A reputable contractor will welcome these questions and any others that you might have. They’ll want to know that you are invested in your project and that you trust them to make a good-faith effort every step of the process. We’ve talked with you about why James Hardie siding is the right choice for your siding project— it benefits, how it stacks up against other siding materials, the variety of options it offers you, and a bit about the installation process. We’ve also addressed the cost of installing James Hardie siding, and what are some of the questions you should ask any contractor whom you’re considering hiring. We hope that you’ll consider working with us! Schedule an appointment for your Free Hardie siding quote (which includes design consultation) by using the form on our website or by giving us a call (636-978-5000). We look forward to the opportunity to help you realize the home of your dreams!